Please note, you do NOT need to have a paypal account to pay me with your Visa, Mastercard, Discover or American Express cards. 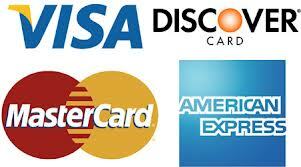 I have a card reader on hand that will accept all major credit cards. I do not accept personal or business checks. I will also provide an invoice statement for loan signing assignments to larger companies, please contact me to make the arrangements.